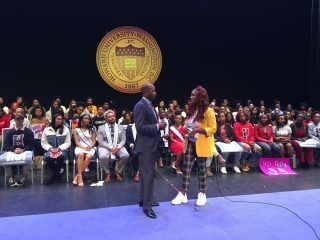 Washington, D.C. (February 6th, 2019) – The popular daytime talk show “The Real” took part of its show on the road Wednesday and to the campus of Howard University. Howard students got a chance to participate as part of a live studio audience via satellite. In honor of Black History Month, “The Real” is traveling to HBCUs throughout the month of February. Howard, “The Mecca” was first up on the roa d trip. The hosts are spreading the message as to why HBCUs are so important to our history and our future. 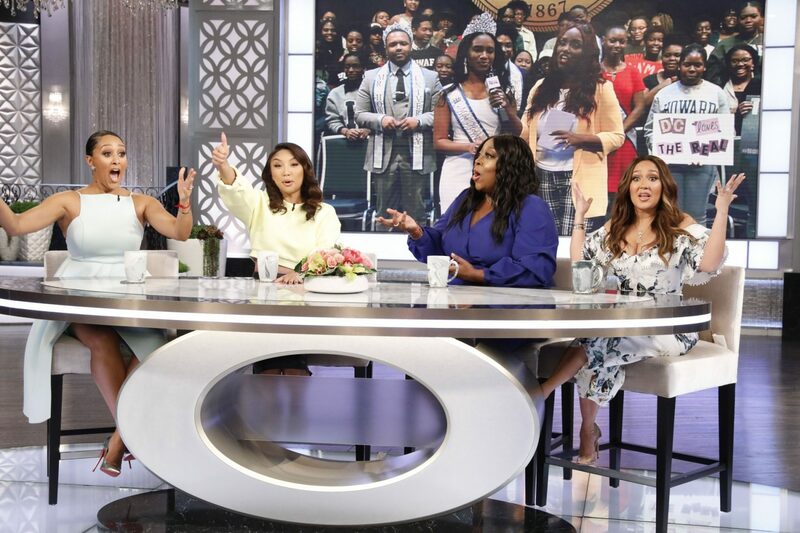 The hosts, Adrienne Houghton, Loni Love, Jeannie Mai and Tamera Mowry-Housley asked the students to weigh in on “multi-dating,” and if it’s cool to do, which co-hosts Jeannie Mai and Loni Love agree it is, as long as everyone is on the same page. They also discussed Jennifer Lopez’s rumored participation in a Motown tribute at the upcoming Grammy Awards, and Cory Booker running for President as a single man. The ladies also spoke with the president of Howard University, Dr. Wayne A. I. Frederick, and played Ante Up with three lucky students, Kayla Waysome, Lauren Myers and Nazeer Jeffries. And student Brandon Allen played a Hotline Bling emoji paddle game with all four hosts! The show aired on Wednesday, February 6th @ 11amET on local Fox5. 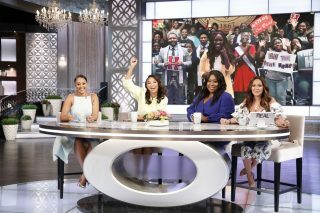 Led by bold, diverse and outspoken Emmy Award-winning hosts, Adrienne Hou ghton, Loni Love, Jeannie Mai and Tamera Mowry-Housley all frankly say what women are actually thinking. 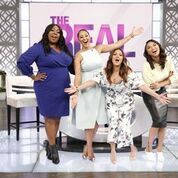 THE REAL is a live daily, one-hour NAACP Image Award-winning and Emmy-nominated talk show on Fox Television Stations and in national syndication (check local listings), with a rebroadcast on cable network Bounce. The hosts’ unique perspectives are brought to life through candid conversations about their personal lives, current events, beauty, fashion and relationships (nothing is off limits). Unlike other talk shows, THE REAL hosts are admittedly a “work in progress,” and fearlessly invite viewers to reflect on their own lives and opinions. Fresh points of view, youthful energy and passion have made THE REAL a platform for multicultural women. Produced by Telepictures Productions and distributed by Warner Bros. Domestic Television Distribution, The Real is led by Executive Producer, Rachel Miskowiec (Good Morning America, Katie, The Tyra Banks Show, Judge Hatchett, The Ricki Lake Show) and shot in Los Angeles, California.